Register for Classes in the store, by e-mailing us at creativeaccents@telus.net or by calling 392-3829. Please pay in advance in the store or by phone with a credit card. Classes which have not met the minimum enrollment 24 hours in advance will be re-scheduled. Paper Trimmer, Scissors, Dry Adhesive, Mini Glue Dots, 3D Dots, Pencil, Black fine tip Pen. You scrapbook your family, your pets & your friends… but what about you? Create this adorable envelope mini album as a way to record your favourite things & the stuff that makes you unique! Make it for yourself to start 2008 off right, or do it as a keepsake for your kids to help them get to know you better. Bring: Class Kit. Class size limited. Get a jump start on Valentines and all purpose sentimental cards with this class featuring Two Scoops, the newest collection by Basic Grey! We’ll create up to 8 cards in a variety of formats & you’ll enjoy extra materials from your class kit (worth over $23) to take home and create some more! Bring: class kit, ruler, anywhere hole punch, craft knife with sharp blade, scoring tool, scalloped deco scissors. Class size is limited for each date. Class will not be longer than 3 hours :) A third class may be scheduled for another time if these dates don’t work for you– please let us know! You’ll create two Asian inspired cards using paper folding techniques! You’ll learn to fold a paper kimono & mount it on a lovely fan shaped card as well as trying your hand at iris folding. These cards are lovely and timeless and you’re sure to enjoy trying something new! Bring: class kit, craft knife with sharp blade, scotch tape, scoring tool. So you want to start stamping… this class will cover some of the basics to get you started making unique cards in a minimal amount of time! 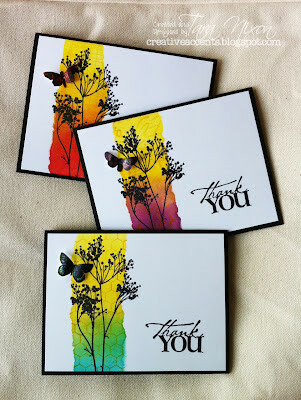 We’ll cover the tools of the trade (including ink types), simple ways to add color and heat embossing. No materials required– come with a friend for a price break on your class fee! Create this adorable mini book in a CD tin for your sweetheart this Valentine’s day and tell them they make your heart sing! You’ll love creating this accordion folded mini book in a funky combination of red and turquoise & filling it with snapshots of you & your sweetie. Bring: Class kit, scoring tool. Class size limited. It’s girls night out at Creative Accents– bring whatever projects you’re working on (scrapbooking or stamping) and take advantage of our studio space, tools & resources to spur your creativity! Shop while you crop for endless options! Bring: a friend, munchies to share and whatever materials you need to work with. Need more time to crop? Pick up your ticket for the Girl Guides Fundraiser Scrapbooking weekend! This event takes place from 6pm - 12am Feb 8 & 9am - 12am Feb 9 at Glendale School Gym. Snacks & drinks are provided throughout the weekend as well as lunch & dinner on Saturday. The cost is $75 and tickets are available here at the store! There will be goodie bags, demos, layout contests & suprises throughout the two days!